During our stay in Madrid, we also visited the Bookworld bookstore, which previously hasn't been mentioned among our listings for Madrid. The ground floor of this bookstore stores mainly fiction and autobiographies, while the basement is dedicated to non-fiction titles and a wide range of English Language Teaching materials. Bookworld also offers an expanded selection of titles related to Spain - books on the history and geography of Spain, its culture, language and even cuisine are to be found in a separate section. One more thing that caught our attention was a large notice board near the entrance with lots of English language-related ads. Bookworld only sells new books, mostly within the usual catalog-price ranges. However, we were pleasantly surprised by their special offers - selected titles from all categories (mostly fiction though) displayed on the bookstore's shelves are offered for a friendly price of 4,90€. Most importantly, the special offers weren't the usual books you can't get rid of for a long time, but interesting titles temporarily available at a favorable price. Selected hard-cover titles were also reduced considerably, including the new book by Paul Auster (Man in the Dark), which also occupied the bookstore's window. The staff at Bookworld was very friendly, which only added to our overall positive impression of this bookstore. Bookworld is the story of a successful business which started off in 1990 as one small shop in San Pedro de Alcantara and aimed at supplying bookstores in the south of Spain with quality English titles, as well as offering them at occasional bookfairs and markets. 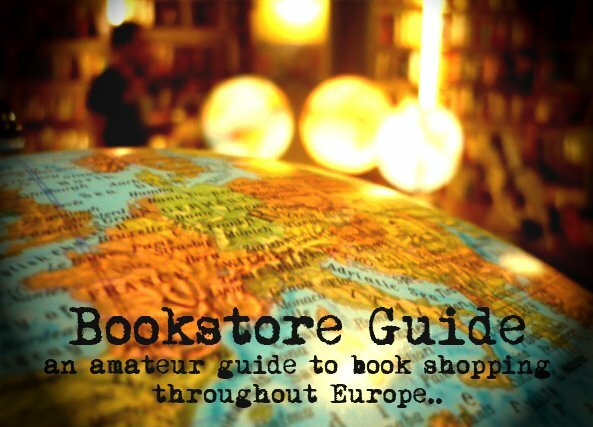 Almost two decades later, it now consists of twelve exclusively English bookstores (the complete list can be found HERE) scattered around the whole country, and thus continues to fulfill its ambition of "opening up the world of English books in Spain". Bookworld also actively participates in promoting the English language in Spain. It has a separate Educational Department, and organizes so-called traveling Bookfairs (a van full of English titles roaming schools and offering books to students and their parents), which both focus at intensifying the cooperation with schools.